Don't let worries about what you can and cannot bring home to the US stop you from enjoying the many markets, Christmas markets and farmers' markets around the UK. 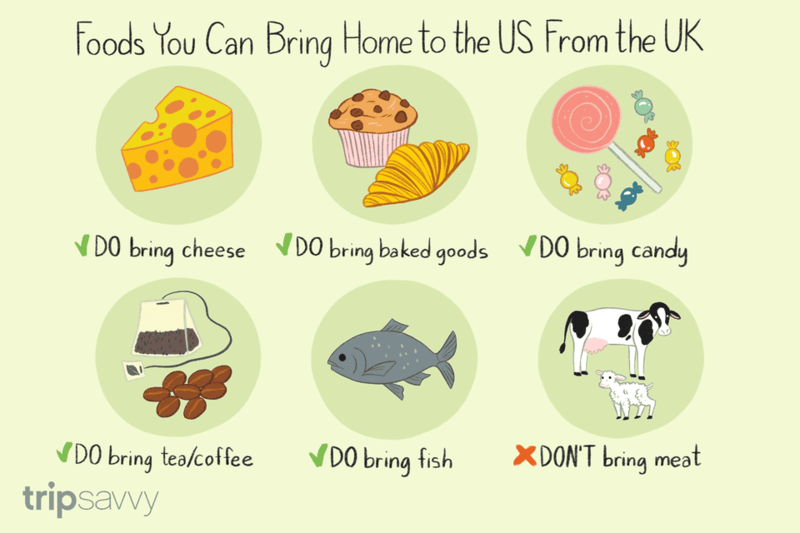 US Customs and Border Protection - a department of Homeland Security, has clear cut regulations about what foods you can and cannot bring home to the USA for your personal use. As long as you understand the rules and are scrupulous about declaring any foods you're carrying when you go through customs you shouldn't have any problems bringing home most of the the foodie goodies you're likely to buy. Do remember. though, that if you bring in food products, you really must declare them. Regulations change frequently and an outbreak of cornflake mange in Abergavenny (I'm making that up) could change an allowed product into a forbidden one overnight. And, if you fail to declare the foods you are bringing home, you could face a fine of up to £10,000. Cheese - Britain has more regional cheeses these days than France, everything from Cornish Yarg to Welsh Caerphilly to Scottish Caboc. 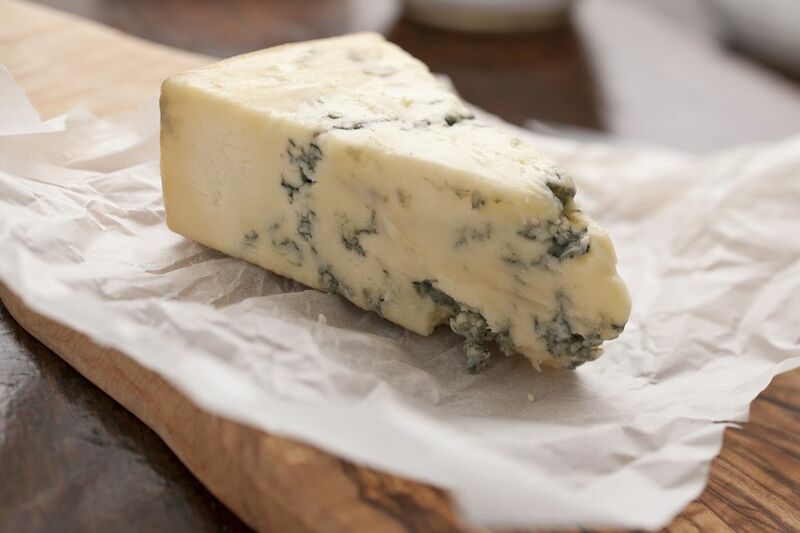 About 900 different varieties of cheese competed for blue ribbons at the last Great British Cheese Festival in Cardiff. The good news is, you can bring most of them home. Hard or semi-soft cheeses, real cheddar from Cheddar, buffalo mozzarella from the water buffalo ranches in the west country, Lancashire and Dorset Blue Vinny from heritage cheesemongers, creamy Stilton in pottery crocks from Fortnum's ready to be doused with port for Christmas, pack them up and bring them home. One piece of advice - be kind to your fellow passengers and pack your cheese in your checked baggage. The hold of airplane is usually pretty cool, so your cheese will arrive home in good shape. Baked Goods - The red tartan tin of Scottish shortbread is a classic souvenir gift. But as long as they don't contain meat or poultry, you can bring home most baked goodies. Scottish oatcakes, spicy hot crossed buns, proper scones and such seasonal treats as Bath buns, Easter Simnel Cake, the tiny mince pies (tartlets really) that are an important part of a British Christmas, Penguins and Jaffa Cakes (favorite chocolate coated British biscuits - aka cookies) are all allowed. So are loaves of English granary bread, wheaten soda bread and so on. If you can manage to carry it home, you can bring it home. Candy and confectionery - There are some wonderful, regional honeycomb treats, including the old fashioned Northern Irish favorite Yellow Man, you can take home. Tea - Loose or in tea bags. Coffee - Roasted or unroasted, beans, ground or instant - as long as there is no coffee bean pulp attached. Fish - Fresh, frozen, dried, smoked, canned or cooked fish and seafood is allowed in amounts suitable for your personal use. Whisky smoked salmon from Scotland perhaps, or a crock of potted brown shrimp from Morecamb Bay. Packing them for travel is, of course, your problem. To get the most up-to-date information on what's permitted, visit the US CBP information page: Travelers bringing food into the U.S. for personal use. The rules for bringing food and food products into Canada are broadly similar but with a few differences. Find out more about What You Can Bring to Canada, from About.com's Canada Travel Guide Jane McLean. Maybe - But Is It Really Worth It? All the fresh fruit and veg you bring into the USA, whether an allowed commodity or not, has to be inspected for disease and insects by a US Customs and Border Protection (CBP) Agriculture Specialist or CBP Officer. If you are determined to bring some fresh fruit or vegetables home with you, you need to check the USDA Animal and Plant Health Inspection Service Fruits and Vegetables Import Requirements (APHIS-FAVIR list) first. It's a bit fiddly to use but instructions are on the website. Even if you can find the specific produce on the list, you still have to have it inspected as soon as you land. And you may need an import permit to bring in some foods you consider perfectly ordinary - peaches, for example, or potatoes - a positive, emphatic no no in any form including fresh, frozen, potato chips, instant mashed, soup mix or canned soup. Do you really have time for all that palaver over a few nice pieces of fruit? Probably not. Pretty much all fresh, frozen, dried or cooked meats and poultry products are not allowed into the US without special commercial licenses and elaborate inspections. That includes canned dishes and sauces containing meat or poultry as well. So, if you manage to board your flight with your Cornish Pasty (stuffed with cubes of lamb, potatoes, carrots and black pepper) intact, better eat it before you land. If you don't, it will be quarantined...to the rubbish. Meat and poultry can be hidden in other food products that you might not have thought about. The sparkling sheets of gelatin you can buy in Europe are made from animal bones. That dried vegetable soup mix you used in your vacation rental might be made with meat or poultry stock. Read the ingredients of processed and packaged foods before you pack them. If they contain animal derivatives you have to declare them. When you do, they will most likely be discarded by customs, but if you don't, you could face a fine. And keep in mind that regulations differ from country to country and change all the time. To keep on top of the latest and best information, check the US Customs and Border Protection web page about bringing food into the USA for personal use.